Senior City celebrates the 85th birthday of Clint Eastwood on May 31st 2015, with the fifth of a five part series this week. 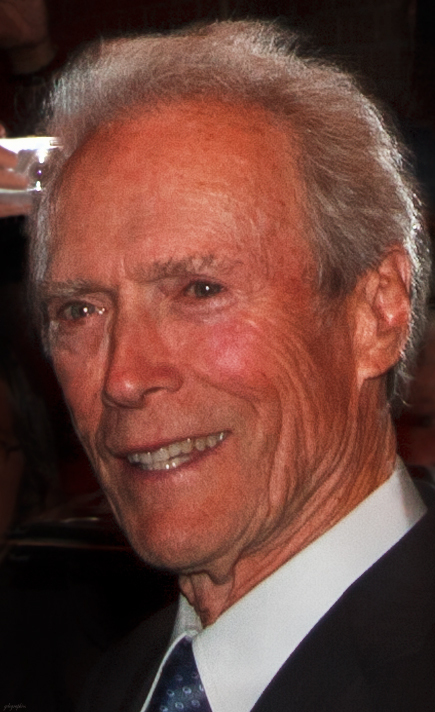 Clint Eastwood became a senior citizen when he turned 65 in 2000, and although the frequency of his movies slowed down, the quality and breadth of his film work in his senior years continued to grow. His baby boomer fans from his days in television and early movies stayed loyal and he picked up new generations of movie-goers. Since 2000 Clint Eastwood has either produced, directed, acted or composed the score for, 16 movies; and in some cases, performed all of these roles. 4 of his 5 Academy Award nominations for Best Picture came for movies Eastwood produced as a senior, including his second win in 2004 for Million Dollar Baby. 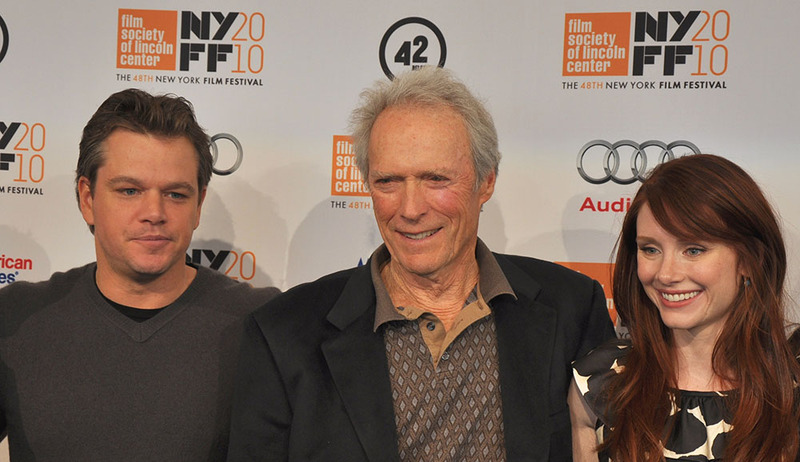 Because of his many fractured romantic relationships, Clint Eastwood has had varying degrees of involvement in his children's lives. Oldest child, his daughter Kimber Eastwood, whom he didn't publicly acknowledge until the 1990's, is now a make-up artist and film producer; she had a small role in his 1997 Absolute Power movie. Clint Eastwood had much more involvement in the lives of his children with first wife Maggie Johnson - son Kyle Eastwood is a composer and jazz bassist and has appeared in a few of his films, most recently in the 2011 movie J. Edgar as a band member. Daughter Alison Eastwood is a former model and more recently has returned to acting as well as directing. She has had roles in several of Clint's films, starting at age 7 in Bronco Billy (1980). Alison Eastwood married sculptor Stacy Poitras in 2013. Eastwood's children with Jacelyn Reeves are also in the movie business. Son Scott Eastwood is a model and on his way to becoming a movie star with his role in 2015's The Longest Ride, co-starring with Alan Alda. Scott has appeared in 16 movies since 2004; in the first 6 movies he was credited as Scott Reeves, but since 2009 he's gone by Scott Eastwood. He has acted in 4 of his father's films, including 2 alongside his father - Gran Torino (2008), as Scott Reeves, and Trouble With the Curve in 2012 as Scott Eastwood. Clint's daughter with Jacelyn also goes by his name professionally; as Kathryn Eastwood, she's an actress and writer whose career is just beginning to pick up. Francesca Eastwood, Clint's daughter with Frances Fisher born in 1993, has been an actress since she was a child and has appeared in 8 films, including Eastwood's 1999 movie True Crime, in which both Clint and her mother Frances both acted in; and 2014's Jersey Boys. Her marriage of 1 week to Jordan Feldstein was annulled in November 2013. His youngest child, teenage daughter Morgan Eastwood (from his 2nd marriage to Dina Ruiz), has had small roles in a few of Eastwood's film's, including 2004's Million Dollar Baby and 2008's Changeling; and she appeared along with half-sister Francesca on her mother's 2012 reality show, Mrs. Eastwood & Company. Dina and Clint Eastwood's divorce was finalized in December 2014. Hereafter (2010), a touching dramatic fantasy about death and "afterlife" experiences, co-starring Bryce Dallas Howard, Cécile De France, and Jay Mohr. Below, Hereafter stars Matt Damon and Bryce Dallas Howard flank and director-producer Clint Eastwood in 2009. Clint Eastwood met hostess Christine Sandera in 2014 at his Mission Ranch Hotel & Restaurant in Carmel-by-the-Sea, California, and they have been dating since then. Once again there is a significant age difference; Christine is in her early 50+ years, but that doesn't seem to be a barrier for Clint or Christine. Christine Sandera accompanied Eastwood to the 2015 Academy Awards ceremony, where his American Sniper movie (2014) was nominated for Best Picture. “I always work hard to keep sharp...I think it’s very important, as one ages, to learn new things. That’s why I have no ambition to retire." "I like to rotate between cardio and resistance exercises...Lifting weights is important to maintain bone density. Plus it’s a great endorphin lift, and it relieves a lot of mental stress as well." Words to live long by! 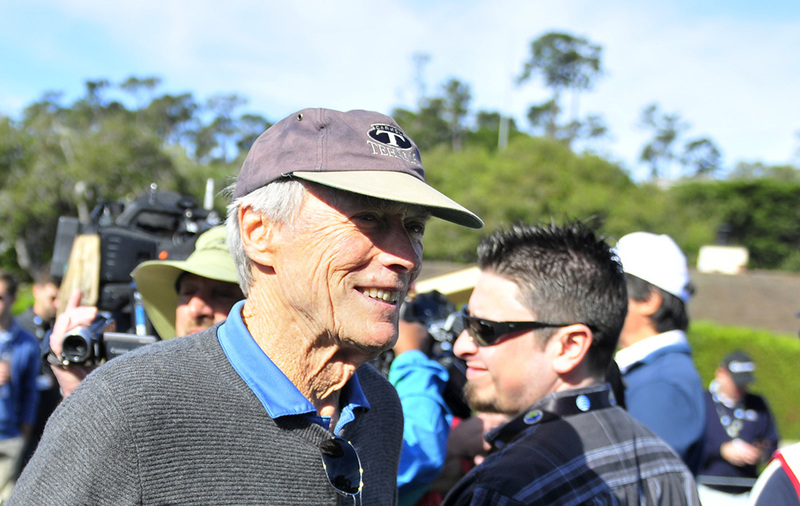 Below, a happy looking, still fit and active octogenarian senior citizen Clint Eastwood at a Pebble Beach "Celebrity Challenge" golf tournament in February 2015. 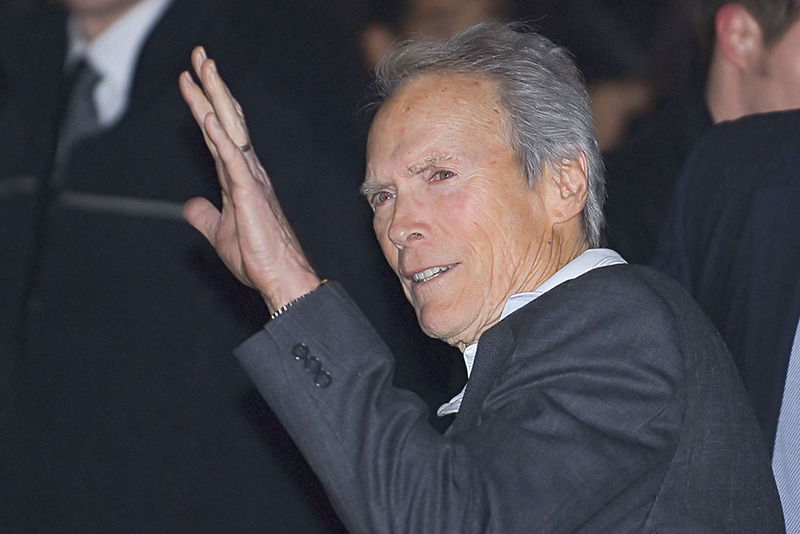 Happy 85th Birthday, Clint Eastwood!